Blanchette Bridge — Silver Eagle Construction Products, Inc.
Silver Eagle Construction Products, Inc. fabricated and delivered stay in place decking ladders, handrail, and the fiberglass bridge drainage system with custom 1/2" steel plate bracket standoffs and galvanized cast iron scuppers for the reconstructed Blanchette Bridge that carries I-70 WB over the Missouri River between St. Louis and St. Charles Counties, Missouri. 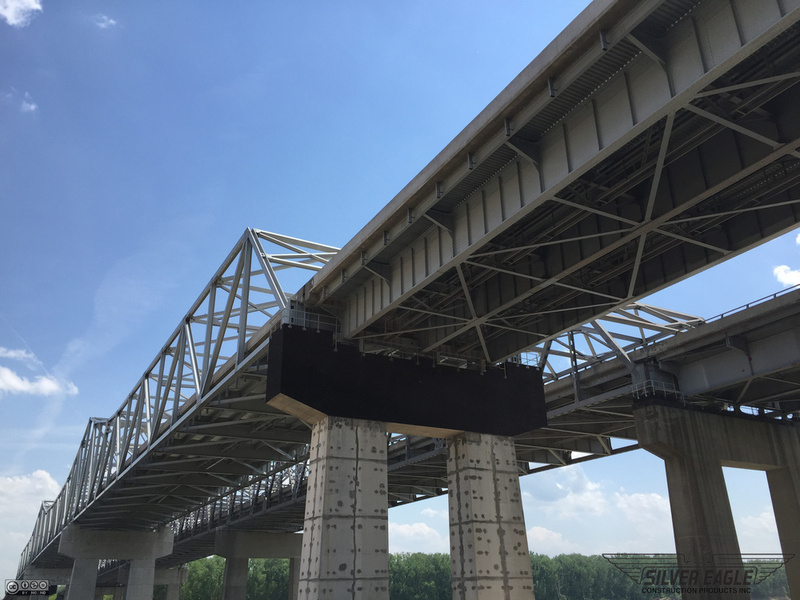 During construction a road sign that overhung the side of the bridge was struck by a passing vehicle and facing a tight deadline, the contractor asked Silver Eagle to fabricate a new, more sturdy sign support that would withstand the impact of the next vehicle. 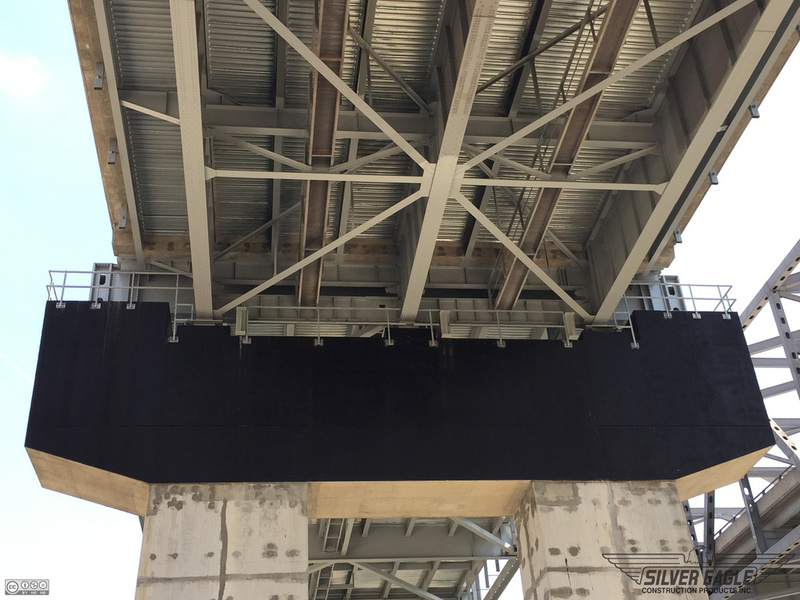 As soon as the sign was installed and the bridge opened to traffic, a truck once again struck the sign, however, this time only the aluminum sheet was bent - not the support structure. 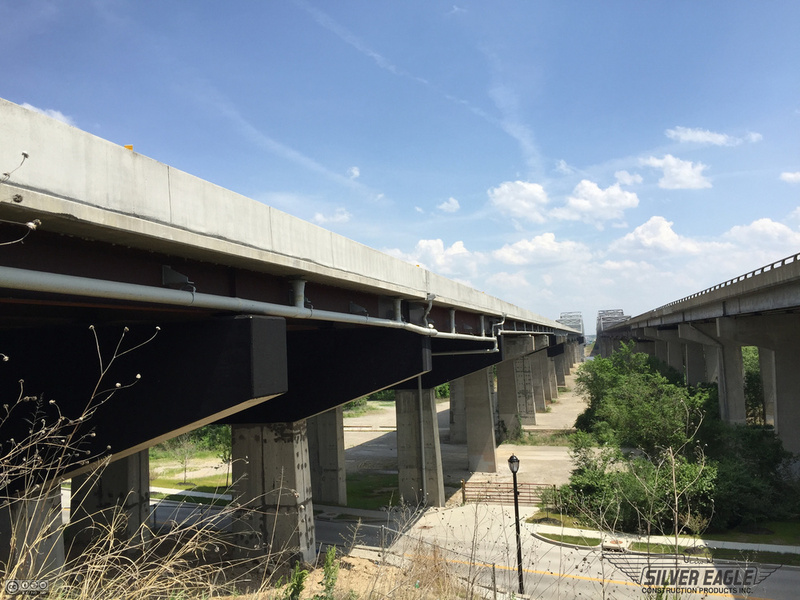 Proximity to the job site played a key role in the success of this project, as 684 slab drains of various lengths up to 72" were fabricated, galvanized, and delivered throughout the duration of the project; only a few miles down I-70 from our shop. 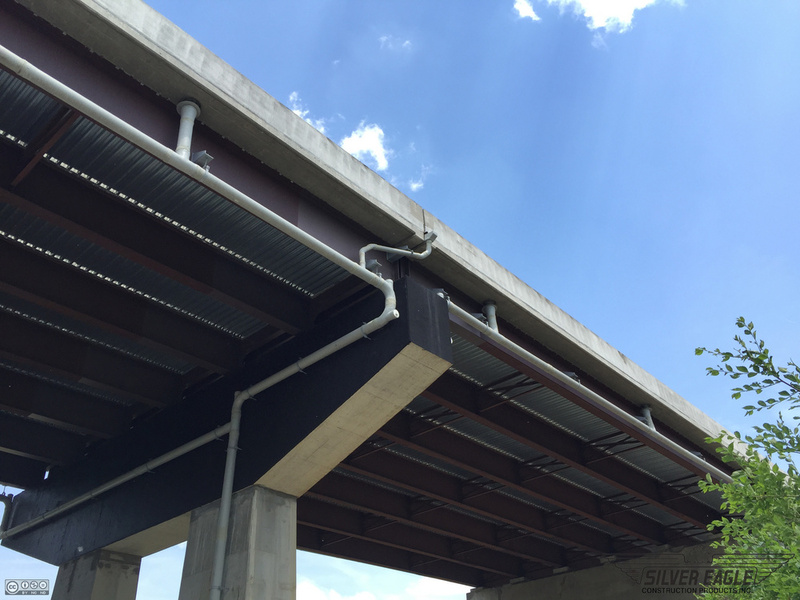 Approximately 1,200 LF of fiberglass pipe and 120 fittings compose the bridge drainage system. 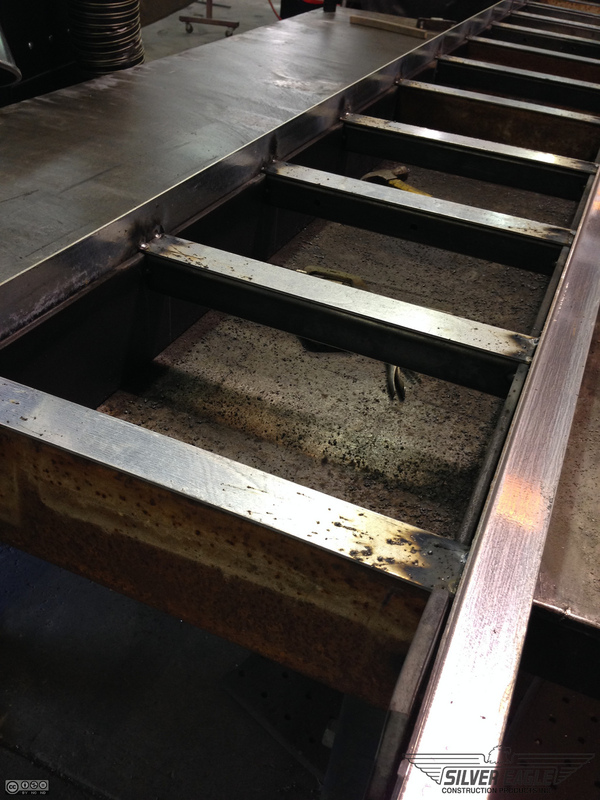 Throughout the installation we received numerous requests for additional fittings in order to route the drainage system around existing & reconstructed structural components, which was achieved with custom-fabricated fittings, bends, and catch basins. 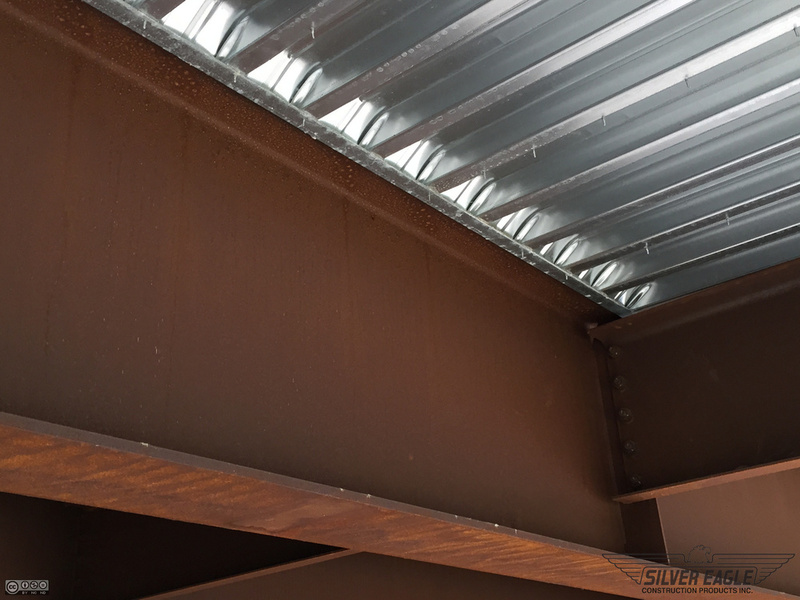 In addition the river span, Silver Eagle fabricated and delivered some replacement bent plate steel diaphragms and a 350 LF fiberglass bridge drainage system for two smaller bridges carrying I-70 over a heavily trafficked local connector route.